Renowned for his work in The Clean and The Bats, the music Robert Scott created in these two beloved bands only touches the surface of the numerous projects he has been involved with over the years. 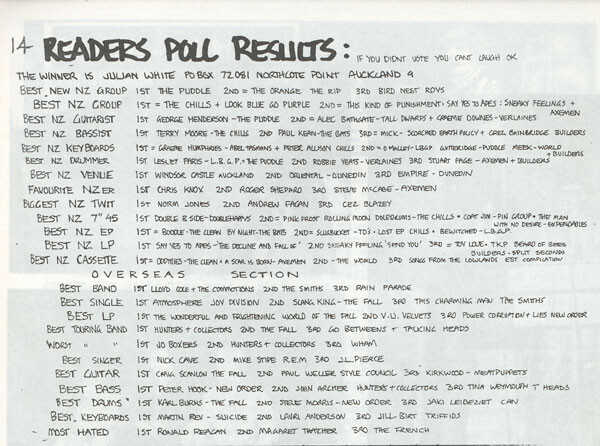 When asked how many songs he had written in a 1989 issue of fanzine Alley Oop, Scott estimated the total to be at least 1,200. In an interview in Yeti in 2010, he put the number of bands he had been a part of at over 40. Scott’s workaholic nature doesn’t end with music either. 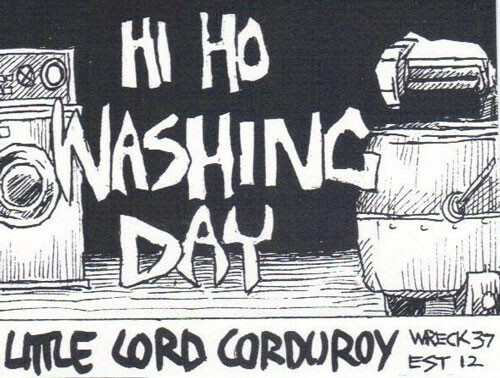 A prolific visual artist, he has produced endless drawings, comic strips and paintings in his spare time, many of which have appeared as album artwork or gig posters and lined the merch tables at his shows. 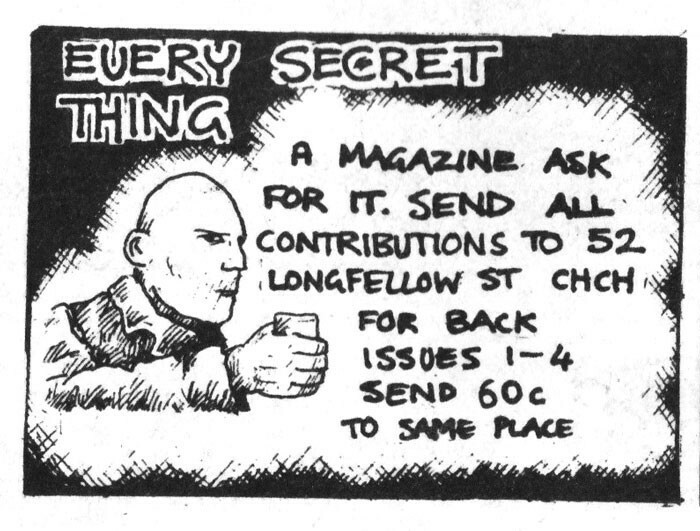 Throughout the 1980s, the vehicle for much of Scott’s songwriting and artwork was his comic fanzine and cassette label Every Secret Thing (aka EST). 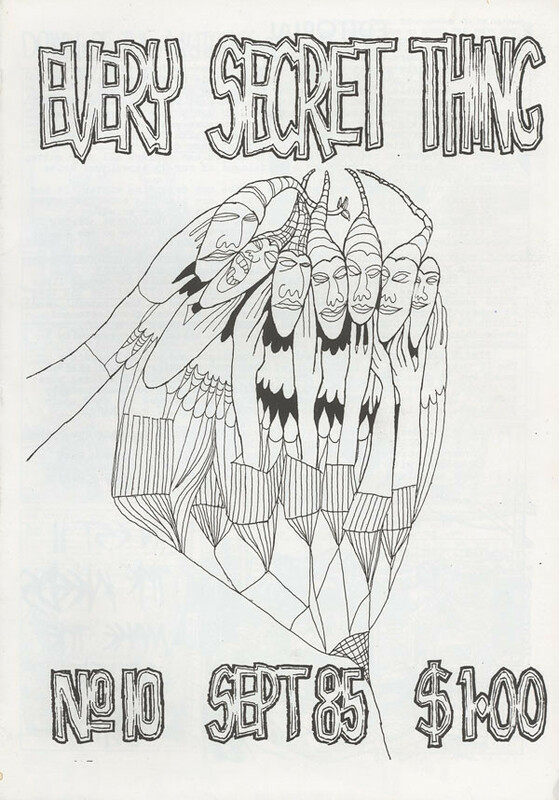 At the start, EST was as a tiny DIY publication and label for Scott’s huge artistic outflow. 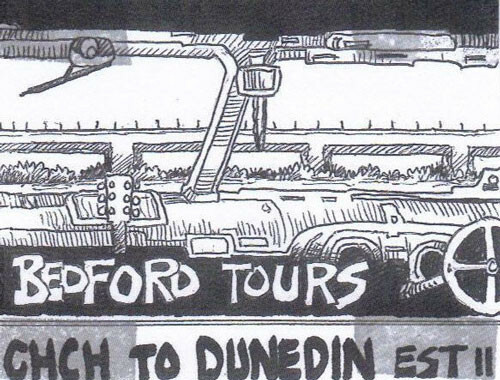 But over its roughly six years of operation, EST also gradually became a key part of the South Island underground scene and home to work by numerous other artists and bands. The impulse to start EST came with the end of The Clean in 1982. 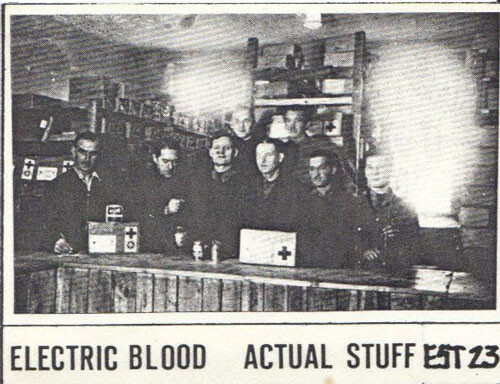 A man without a band, Robert Scott was living on the dole in Christchurch with plenty of time on his hands. As he tried to figure out his next move, he whiled away the hours endlessly drawing. 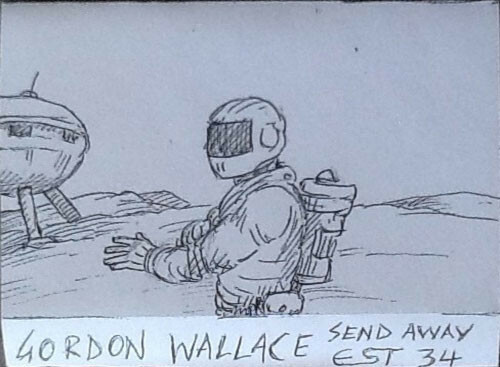 With stacks of doodles, short stories and comics piling up around him, Scott decided to bundle them into a fanzine. 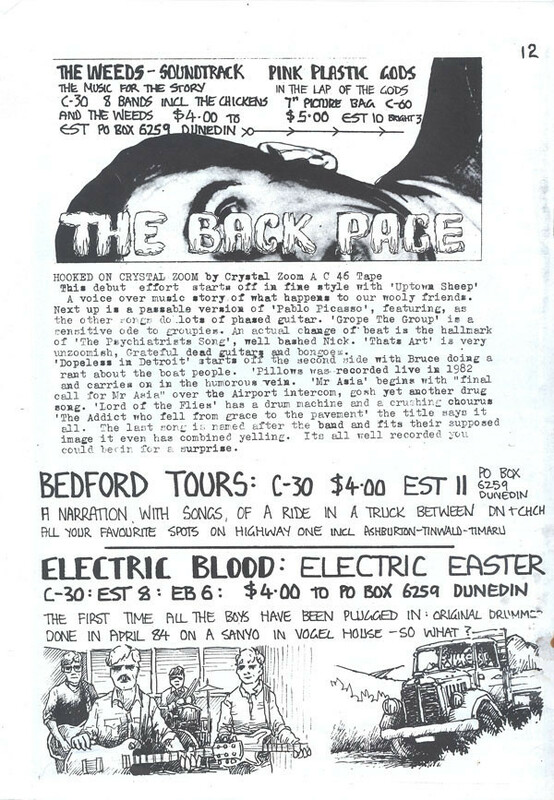 At this point, fanzines were hardly a feature of the underground DIY scene in New Zealand. 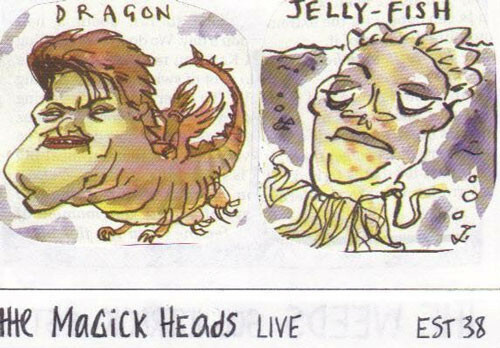 Ballon D’essai had made a few issues of their Ballon d’Comic in Christchurch and Paul Luker had whipped up Empty Heads in Auckland, but there wasn’t much else on offer. For Scott, it was something he’d dreamed of since his early teenage years. 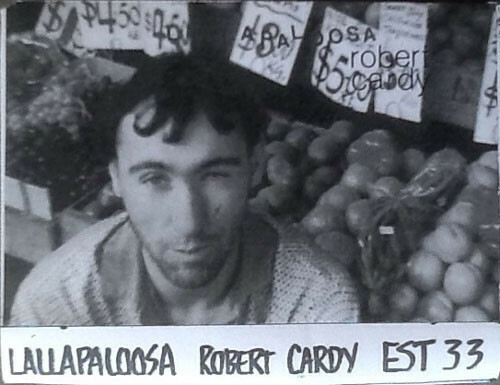 Endless self-made comic books were whipped up when his mother refused to buy him the real thing. 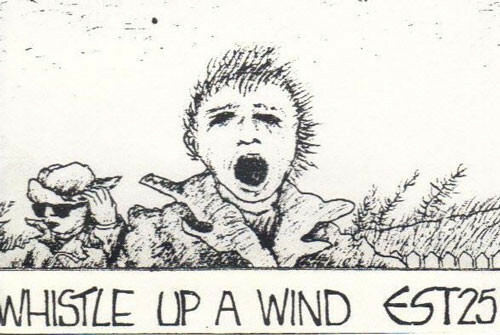 Later on in The Clean, a forerunner to EST was done for the Boodle, Boodle, Boodle EP in 1981, a staple-bound comic book with drawings by each member of the band was inserted in the first pressing. 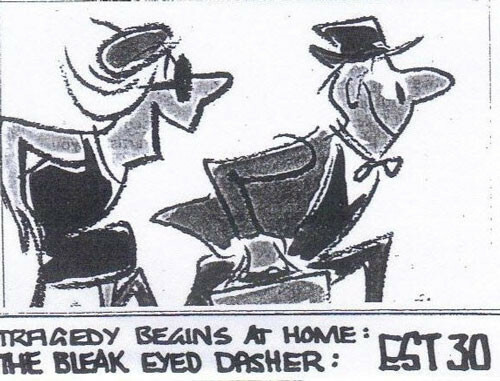 Early editions of EST featured a 12-page mix of comic strips and short stories mixed with a smattering of music related news and reviews crudely stapled together. Most copies were sold to friends or via select record shops and mail-order ads in RipItUp. Early issues were photocopied and cost 60 cents (later climbing to $1). 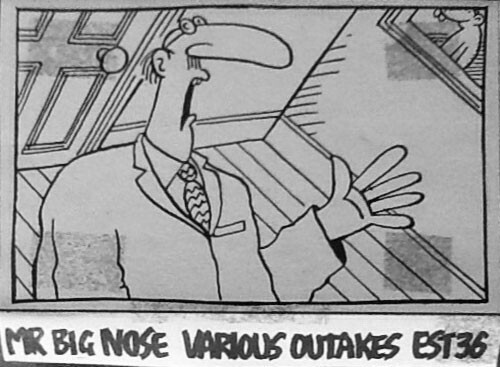 Several recurring comics popped up in every issue. There were sci-fi thrillers “Target Dandillion” and “Dawn of the Mutants” along with an illustrated how-to manual for being a rock star called “Guide to Success”. 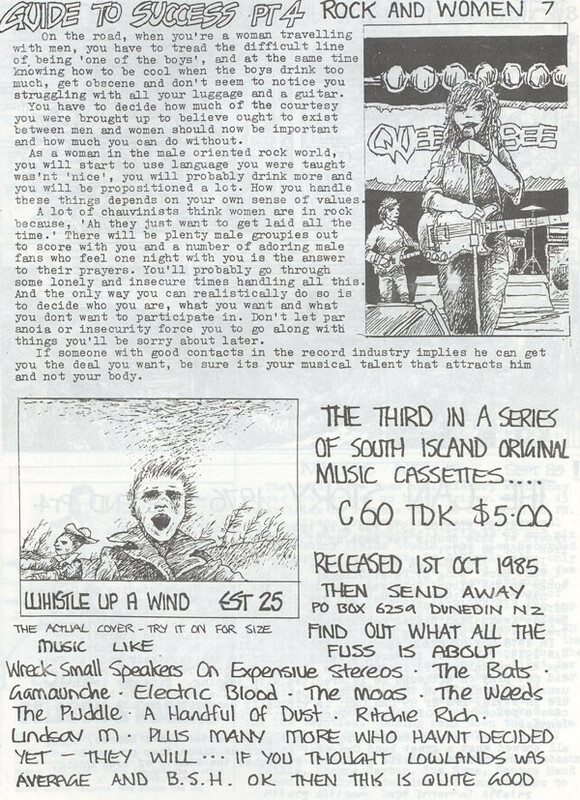 Amidst the comics, pages were dotted with cassette reviews, gig reports and band features. 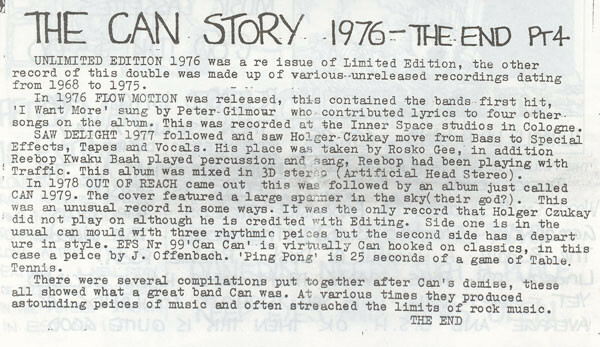 Highlights included a multi-issue history of kraut-rock band Can, a write-up on UK post-punk band Swell Maps and an early story on the AXEMEN. Other artists started chipping in too. 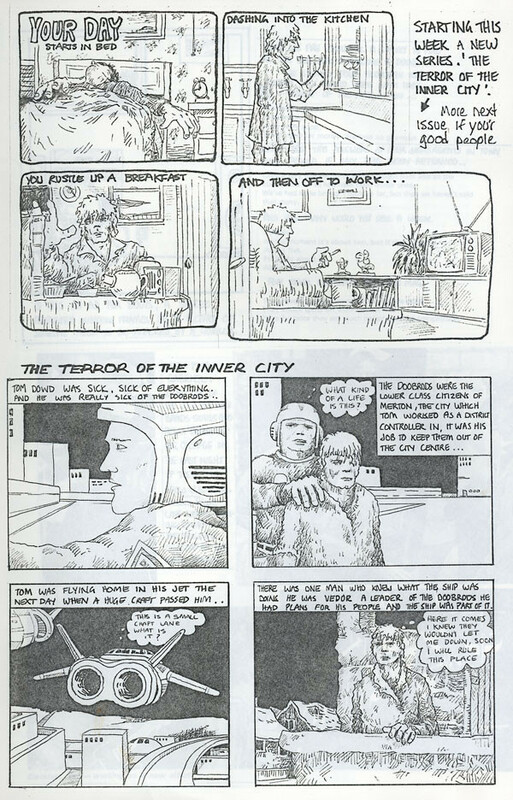 Drawings and comics from the likes of Hamish Kilgour and Greg Edwards started appearing after a few issues, and Shayne Carter penned reviews. 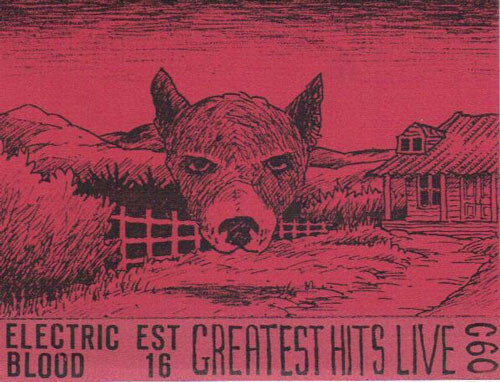 After only a few issues, EST the fanzine expanded to become EST the cassette label. 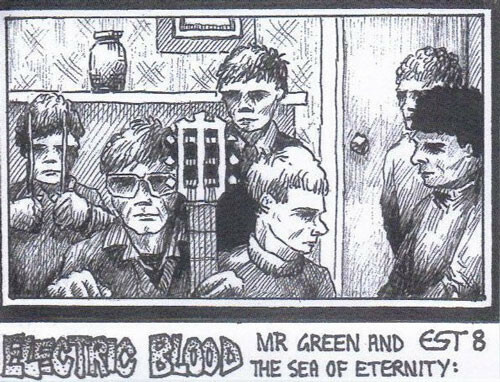 This was a period in early 1983 when tapes were quickly becoming the in-thing for DIY minded underground bands and would-be labels. In a matter of months, labels like Industrial Tapes, Ima Hitt and T.V. Eye had sprouted up. 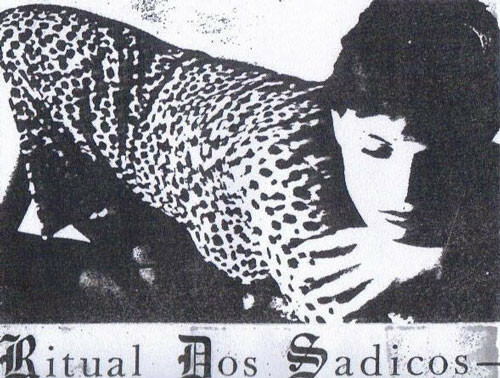 Hamish Kilgour had compiled the Odditties cassette for Flying Nun and bands like The Rip, Above Ground and the AXEMEN had all self-released tapes. Enough new tapes were coming out that RipItUp responded by adding a special “Tape Only” review section. 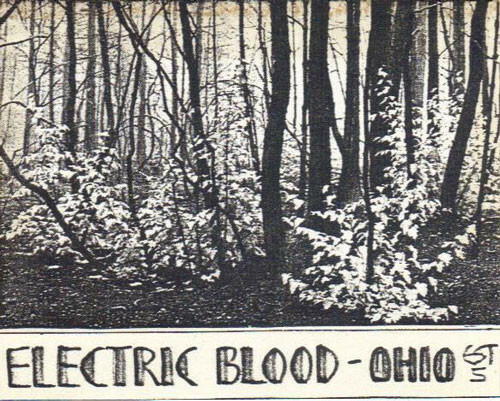 EST’s inaugural release however, contained no original material. It was essentially a mixtape: “The first thing I did, I didn’t know it was illegal at the time, was my version of Swell Maps’ Greatest Hits. 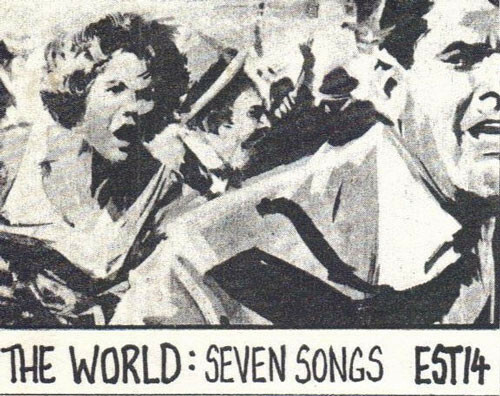 I recorded my twenty favourite Swell Maps tracks off the records. 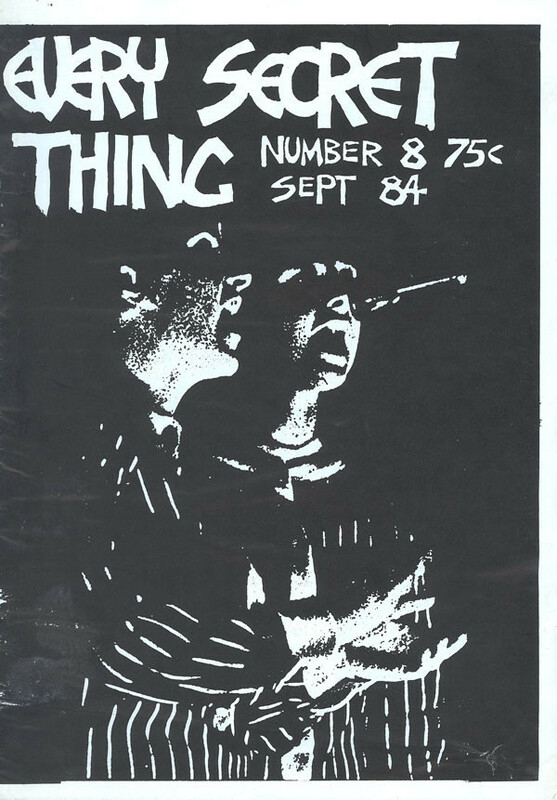 I owe those guys about $8.50, I only sold about five.” Only a few copies were made and they disappeared quickly. 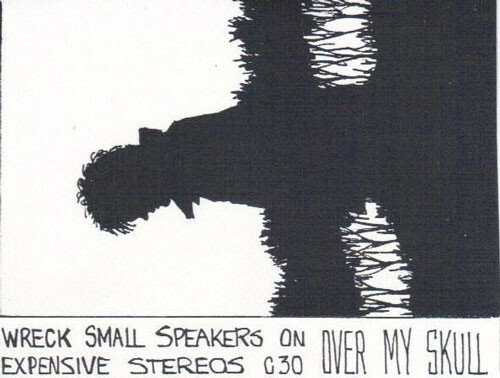 By and large however, EST’s early tapes were a vehicle for Scott’s own recording projects. 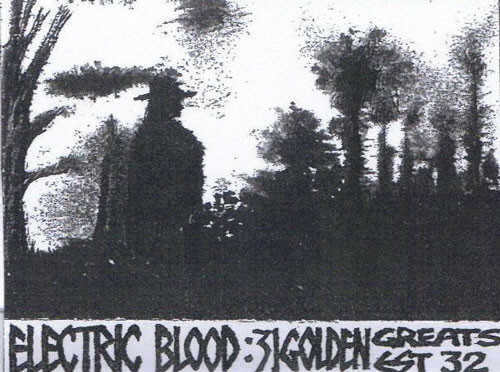 “A lot of EST tapes were a front for me putting out more songs. 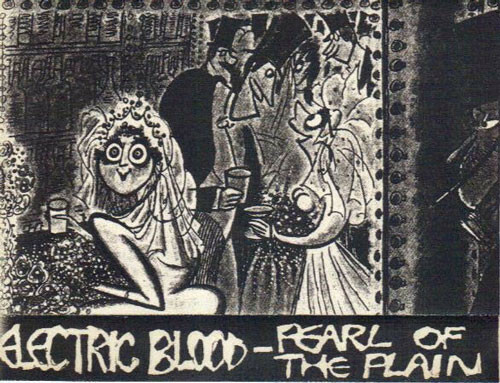 Most of these bands didn’t play live, either,” he later told Yeti’s Mike McGonigal. 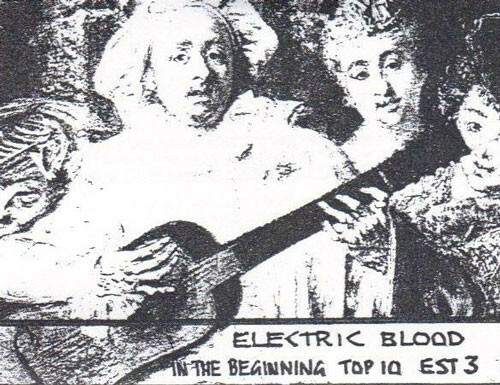 Six of the first eight tapes released were by long-time family project Electric Blood, which Scott began when he was only 17 in the late 70s. 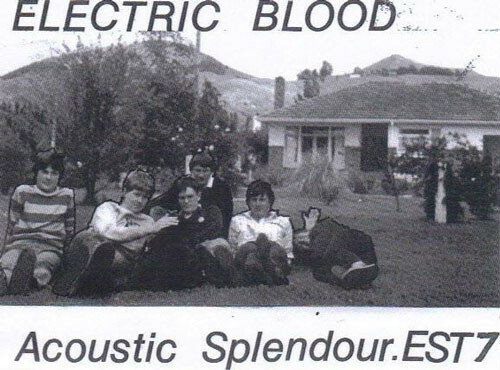 Essentially a collection of friends and neighbours who lived doors away in East Taieri, Electric Blood got together every Christmas and made a record, playing what Scott later described in Yeti as “living room thrash.” Playing on beaten-up old acoustic guitars and ersatz drum kits made from whatever was close to hand, Electric Blood’s roster included brother Andrew Scott, and a shifting circle of Angus, Graham, Kenneth and Sheila McKerracher, Andrew and Phillip Tomkins, Jim Strang, Jonathan Hughes and several others. 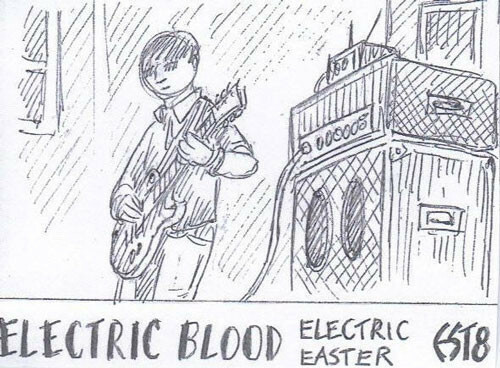 Tapes were about the only way anyone could hear Electric Blood. 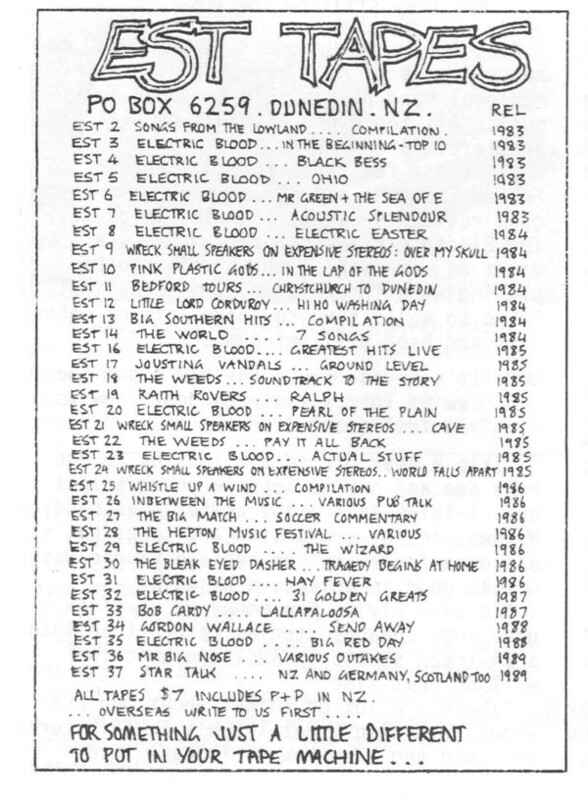 They eventually started playing shows around Dunedin but didn’t make their proper live debut until March 1985. 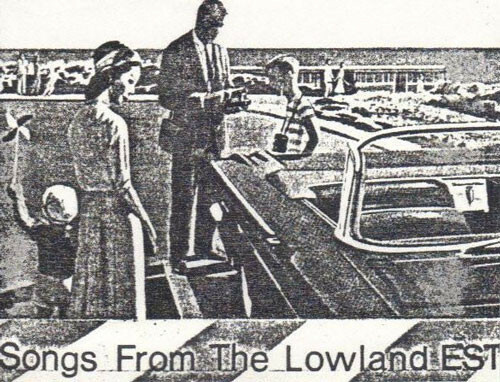 Aside from the assorted Electric Blood releases, the noteworthy early tape to be issued on the label was the compilation Songs From the Lowland (EST2, 1983). 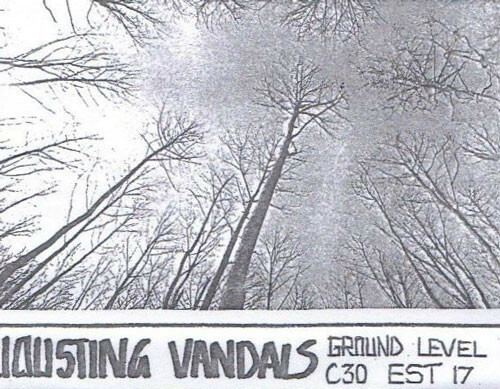 Co-released with Wreck Records (Wreck Small Speakers on Expensive Stereos label), Lowland brought together live, studio and practice room tracks from a mix of South Island bands, most of who had yet to see proper release from a label. 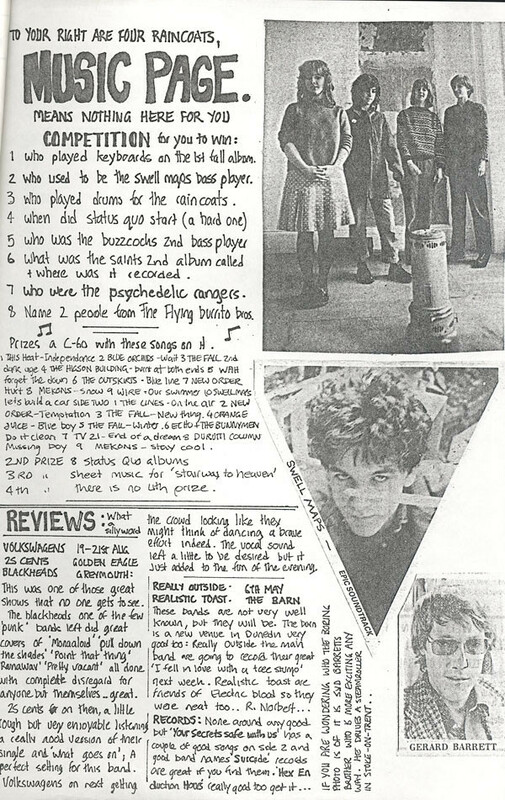 Future Flying Nun bands Look Blue Go Purple, The Bats and The Doublehappys all made their debut on the comp. 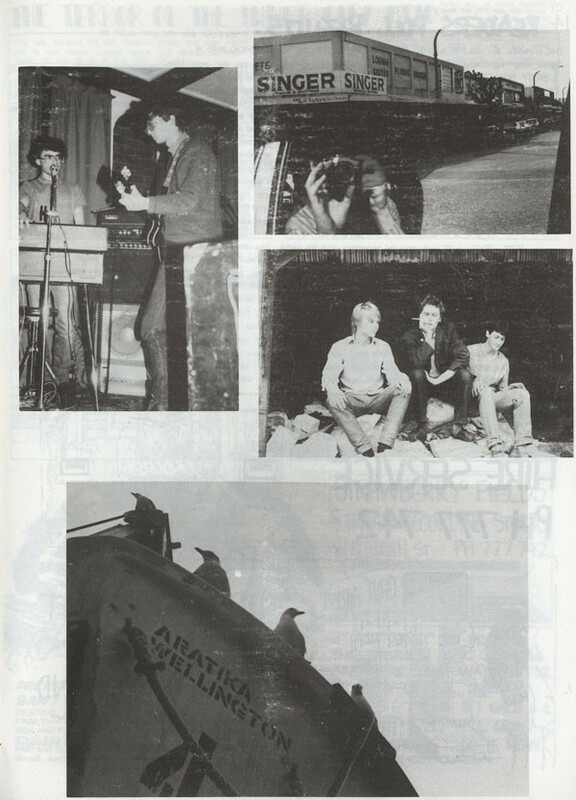 An early version of the tape also included tracks by Bill Direen’s Builders. However, Direen objected to appearing and asked for them to be removed. Only a handful of this version was ever made available. 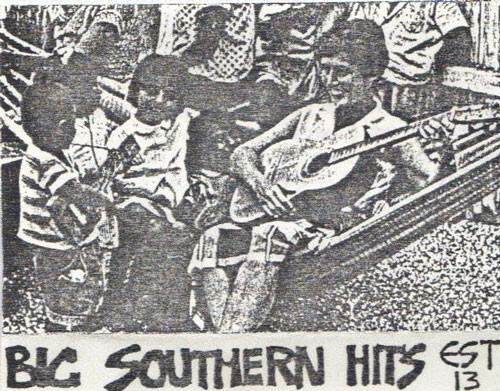 Lowland would be the first in a series of EST South Island compilations, followed by Big Southern Hits (EST13, 1984) and Whistle Up A Wind (EST25, 1985). Scott’s recording method for most EST tapes involved using a ghetto blaster with a built in microphone. These recordings where then roughly transferred onto a master tape and copies dubbed on double bay tape deck in real-time. Each tape generally sold for between $3.00 and $6.50, and was often priced based on whether a C-30, C-60 or C-90 cassette was required. Discounts were available if you posted in your own tape, and you could pay more if you wanted a colour cover. 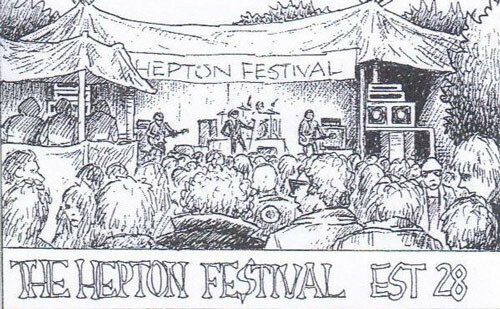 Though EST was initially one of the few fanzines to cater for local music and bands, the scene soon changed. 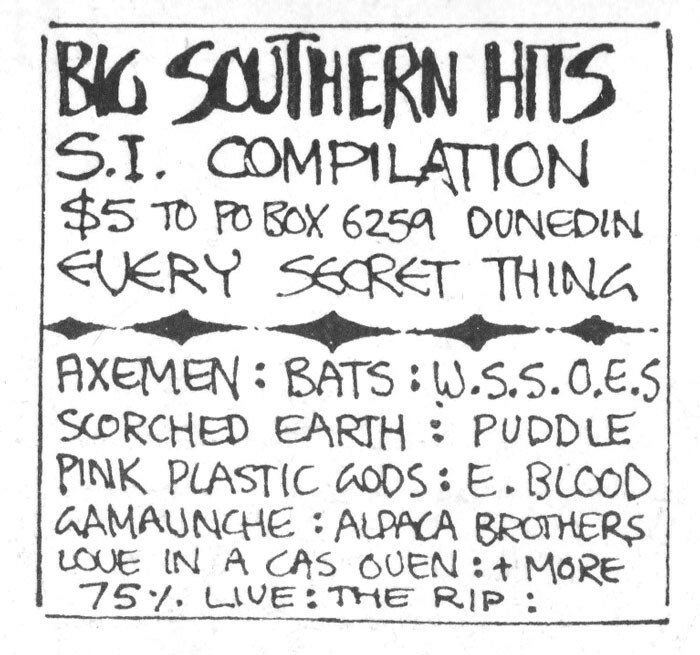 By 1985, the bedrooms and basements of Dunedin especially were crawling with people making zines, comics, art books and pamphlets. 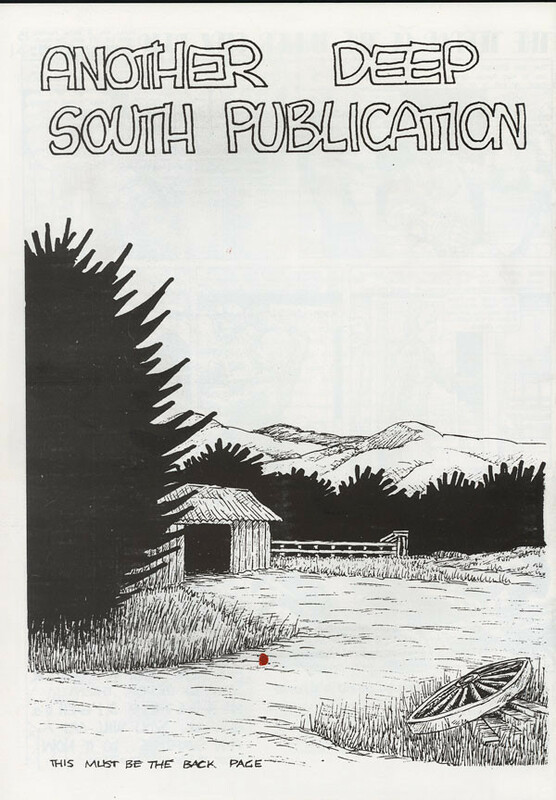 As a response, frequent EST contributor Greg Edwards formed Deep South Publications. 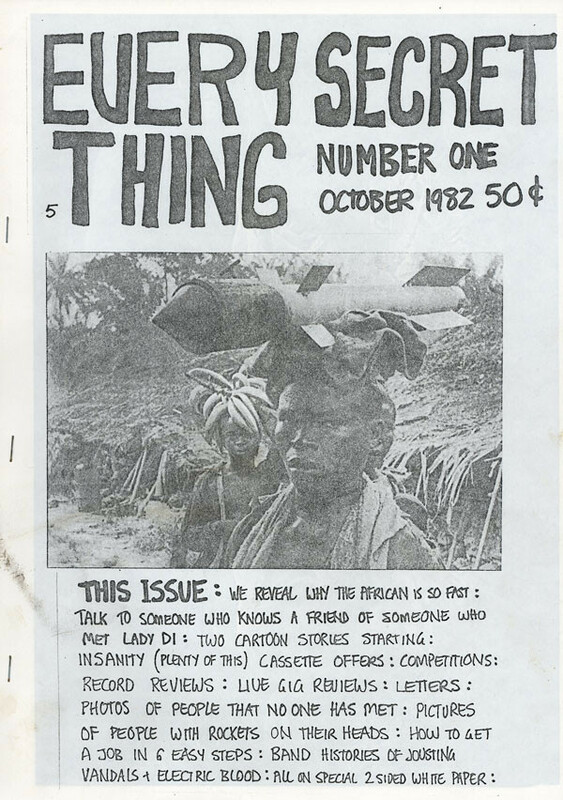 It was set up as a cooperative to help with the sale and distribution of fanzines. 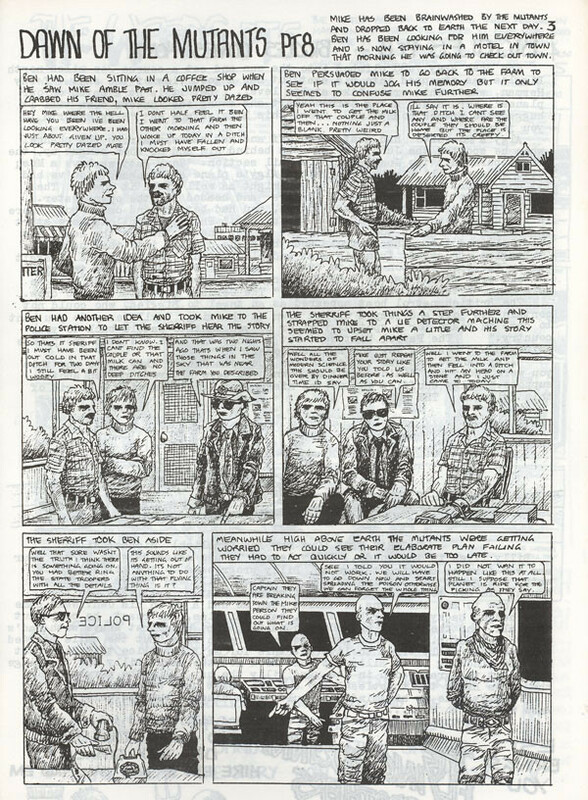 Along with EST, Edwards distributed his own Fly Paper comic, Richard Langston’s Garage, Free Access and various one-offs like Stories Strange, a cartoon made by Pelicans drummer Tim Bollinger. 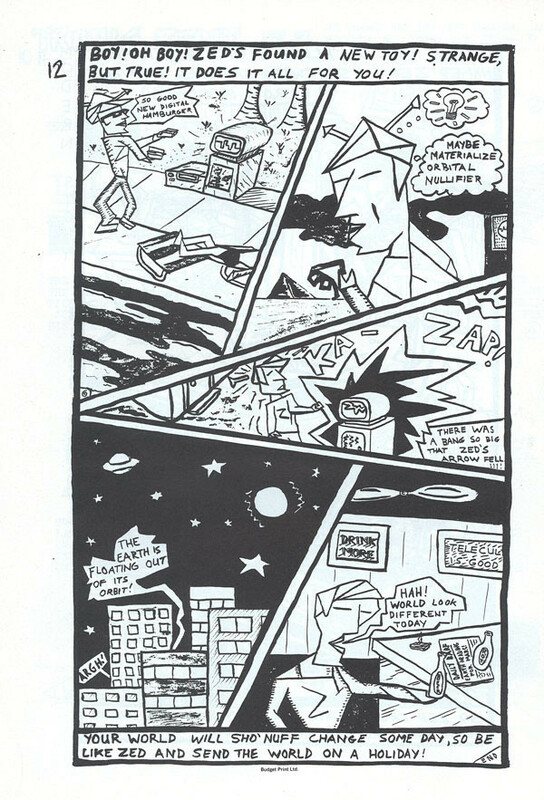 Some of that fun meant making soundtracks to accompany comics that appeared in the fanzine. 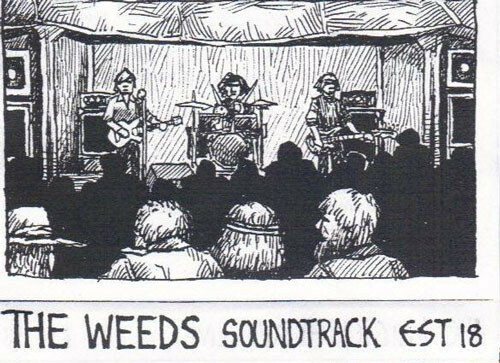 “The Weeds”, a regular strip in EST’s pages, followed the adventures of an aspiring North Dakota band The Weeds as they warded off sabotage from rival band the Chickens on the road to fame in Nashville. 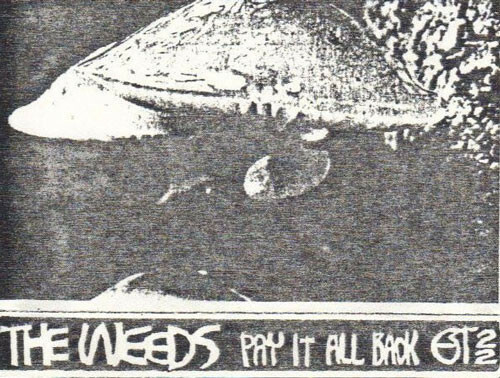 In issue #10, an advert ran below the latest Weeds comic promoting a new Weeds Soundtrack (EST18, 1985) cassette: “You’ve read the story now hear the music.” The soundtrack featured songs by several of the comic’s bands, including the Chickens and Darkstar. All of the music was actually whipped up by Scott and Morley. “They were all made up names … we would pretend to be these different bands … and then it turned into a real band,” Scott told Yeti. 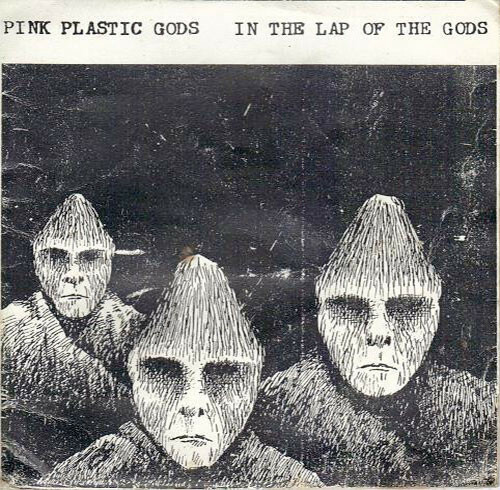 The real version of The Weeds first started under the moniker Pink Plastic Gods in 1984, with Bruce Russell and Denise Roughan joining Scott and Morley. 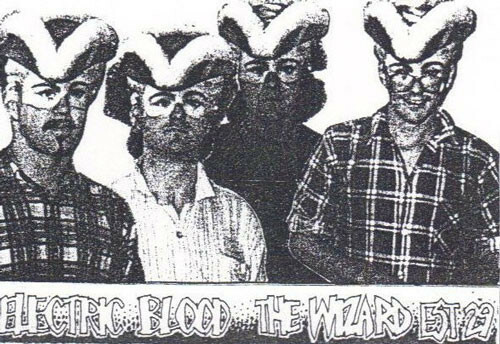 A year later, the band morphed into The Weeds, adding Shayne Carter and John Collie to their ranks. 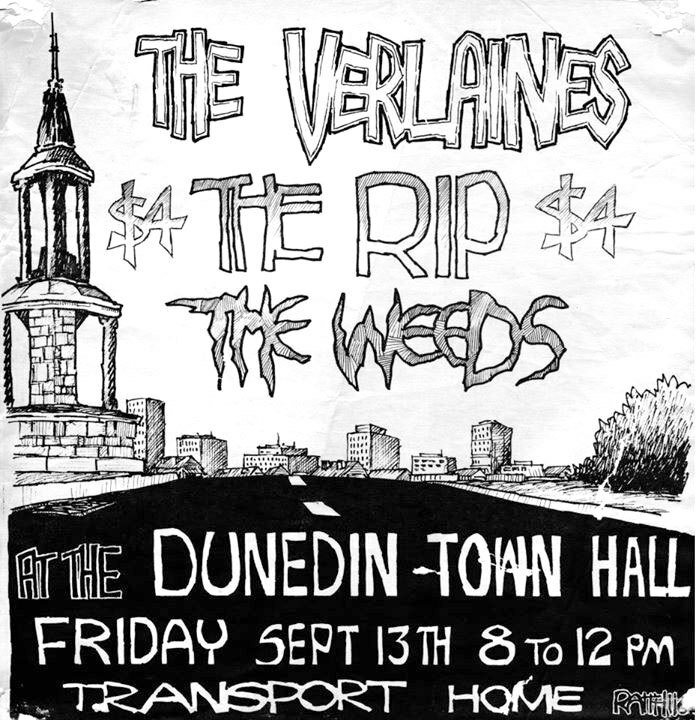 In late July, The Weeds played the Empire Tavern’s birthday bash, recounted in the ODT as “a joyful mess of down home rock ‘n’ roll.” Another gig review in Garage, of a September show with The Verlaines and The Rip, described The Weeds as “the scungiest and dumbest rockers to have played the Dunedin Town Hall without trousers on.” Pay It All Back (EST22), released by EST in 1985, offered up a live sampling of some of these raucous gigs. 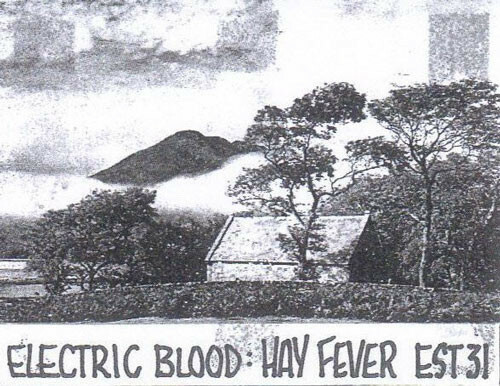 Another live track appeared on the B-side of Flying Nun’s ‘Wheatfields’ 7” released in early 1986. The cheap and made-to-order nature of cassettes also allowed EST to serve up bits of mischief without worrying whether anyone would actually buy them. 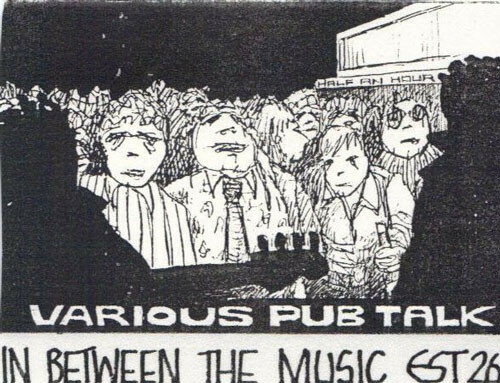 On In Between the Music (EST 26, 1986), Scott went through hours of bootleg recordings and compiled his favourite clips of pub banter from between songs, including early Clean shows from 1979 and The Fall’s Christchurch gig. This was followed up with Mornington V Varsity (EST 27, 1986), a recording of Scott’s commentary for a local football match. Scott played for a local club with Graeme Downes and Shayne Carter but was injured one day and decided to record his commentary for the match from the sidelines. 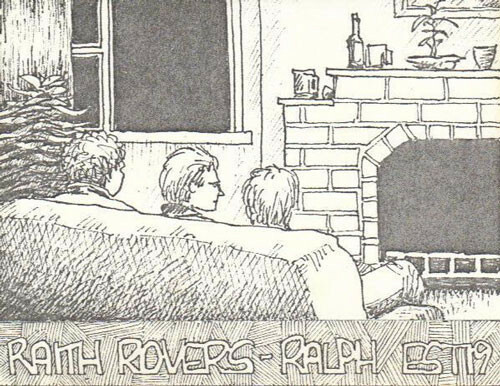 Notice from abroad came just as EST the fanzine wound down. Scott made it to issue #13 and ended there. He had become too busy with the release of the second Bats LP and reformation of The Clean and simply didn’t have time to make new issues. EST cassettes would linger a little longer. By the time it was over, there had been almost 40 releases in the catalogue. 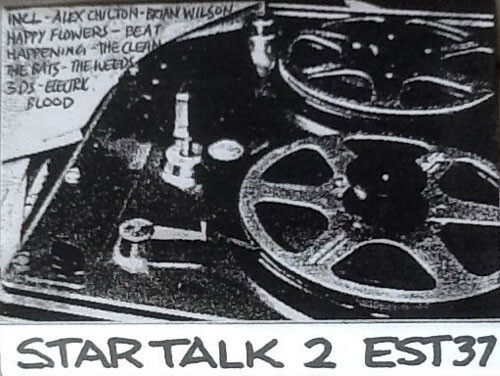 The last one was a compilation titled Star Talk (EST37, 1989), a collection of recorded tour snippets and dialogue that included tracks of Alex Chilton and Beat Happening from the Bats tours in Europe.